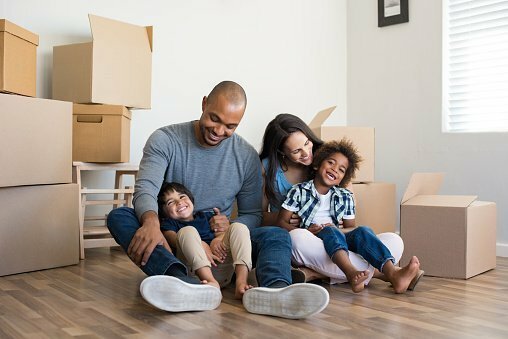 Are you in the process of planning a move? If so, you may have been warned about the challenge of packing up a home which can be presented as an overwhelming task for many households. As you start the process of packing, chances are that you find items that you’ve never seen before or completely forgot you had. A strategic and well-thought-out plan of action can transform a typically chaotic task into a successful one. Here are eight pro packing tips to help make the process smooth and efficient. Packing up one room at a time is more manageable than attempting the entire home at once. Packing up room by room will also make unpacking a lot easier as items will be kept together and moved into a new room as a unit. As you pack up little by little, use the opportunity to think about your belongings through a process of elimination. Items that are no longer used or required can either be sold, donated or stored off site. With each item that you pick up, you should ask yourself how often you use it, if you really need it and if your new lifestyle has space for it. Labelling boxes is a great organisational tool used to distinguish where each box belongs and what it contains. Each room/area of your previous home can be assigned and labelled a different colour tape. Colour-coding is most definitely a timesaving process and will make sorting the boxes easier upon arrival at your new house. Further labeling your boxes on each side, based on the content inside, will also help you find what you need quickly. Another way to do this is to draft an inventory list and assign each box a number. A big mistake that many people make is putting too many items in a single box, resulting in the box being too heavy to move. Keep in mind that someone needs to lift and move the box and this cannot be done if the box is too heavy. It is always a good idea to pack a box of essentials that you’ll need immediately upon arrival at your new home. You can either personally transport this box or it pack it as the last box on the removal truck, meaning that it is the first box you see when you open the doors. This box should include items such as toiletries, plates, eating utensils and perhaps some food. If moving with your family, make sure that each family member has a box. Make the effort to pack your fragile items with extra precaution. All plates, bowls and glasses need to be wrapped individually. It is not only breakable items that are fragile, but also valuable items. Use towels or linen to wrap TVs, fridges, microwaves and other appliances to avoid any scratching. Rather than purchasing non-reusable padding materials to protect your fragile items, why not make use of clothes and linen to wrap those belongings that need to be protected during the move. When moving, it is very normal to be surprised about how much stuff you’ve accumulated over the years. Even if going through the decluttering process, you may find that your new home might not have enough space for all of your belongings. Perhaps you have seasonal items that need to be safely stored off-site. A self storage unit is the perfect solution to the lack of space or transitional period of moving home as it acts as an extension of your home. The ease of accessibility combined with top-class security and flexible lease agreements mean that you can move home with less stress and more space. These are just a few tips and hints for packing like a pro during your move. Take a deep breathe and enjoy the process!